The CIP market size is estimated to grow from USD 110.41 billion in 2017 to USD 153.16 billion by 2022, at an estimated Compound Annual Growth Rate (CAGR) of 6.8%. The CIP market includes various security technologies, which are essential for safeguarding critical assets, enterprises, and territories from physical and cyber-attacks. Increased instances of physical attacks, such as terrorist activities, thefts, and intrusion drones, and cyber-attacks which include malware, ransomware, virus, and Advanced Persistent Threats (APTs) have driven the need for large-scale adoption of CIP security devices and services. However, the lack of technical expertise and industrial control system awareness limits the growth of the market. The consulting services are helping clients in designing and implementing CIP programs, developing capital investment strategies, assessing and monitoring infrastructures, and meeting compliances and standards. Thus, the consulting services segment is expected to grow at the highest CAGR during the forecast period. However, the maintenance and support services segment is expected to have the largest market size in 2017. The CIP transportation systems market size is growing rapidly, due to increased instances of terror attacks on railway infrastructures, highways and bridges, and airports; pirate activities in international waters and ports; and cyber threats of malware, viruses, and APTs. The sensitive infrastructures and enterprises segment is expected to have the largest market size in 2017, owing to large adoption of video surveillance, video analytics, smart cards, biometric systems, and intrusion detection systems. Major oil field projects are set up in Middle East and Africa (MEA), which require protection from physical attacks, cyber-attacks, and natural disasters. The MEA government and private customers are adopting best-in-class CIP systems, such as video surveillance systems, radars, command and control systems, access control systems, cybersecurity systems, and solutions, which have helped in the proliferation of the CIP market in the MEA region. The services segment is also growing at a high rate in the MEA region, as the risk assessment, incident response, maintenance and support, and consulting services are helping the critical site managers to keep their assets safe from threats. North America is expected to have the largest market size in 2017, due to increasing number of criminals and cyber-attackers, who have disrupted the functioning of the critical infrastructural assets in the region. The North American region observes increased adoption in surveillance, access control, intrusion detection, radars and communication systems. Surveillance measures in public places and industrial sites have been strictly tightened by installing video surveillance systems supported by video analytics software. Various airports, marine ports, and border control areas have adopted biometrics based on modalities, such as fingerprint, face, and iris recognition for access control. In-depth interviews were conducted with the CEOs, marketing directors, other innovation and technology directors, and executives from various key organizations operating in the CIP market place. The breakdown of interviews by company type, designation, and region is given below. Majority of primary interviews were conducted with C-level executives of tier-1 companies in North America, Europe, and APAC. The report includes the study of key players offering CIP systems, solutions, and services such as BAE Systems (UK), General Dynamics Corporation (US), Honeywell International Inc. (US), Lockheed Martin Corporation (US), Northrop Grumman Corporation (US), Raytheon Company (US), Airbus Group SE (Netherlands), Hexagon AB (Sweden), Johnson Controls International plc (Republic of Ireland), Thales Group (France), Teltronic S.A. (Spain), OptaSense (UK), Motorola Solutions, Inc. (US), and Huawei Technologies Co., Ltd. (China). The report provides a picture of the CIP systems, solutions, and associated services across different verticals and regions. It aims at estimating the market size and future growth potential of this market across different segments, such as security technologies, services, verticals, and regions. Furthermore, the report also includes an in-depth competitive analysis of the key market players, along with their company profiles, key observations related to product and business offerings, recent developments, and key market strategies. The report will help the market leaders/new entrants in this CIP market by providing them with the closest approximations of the revenue numbers for the overall market and its subsegments. This report will help stakeholders to better understand the competitor landscape, gain more insights to better position their businesses, and make suitable go-to-market strategies. 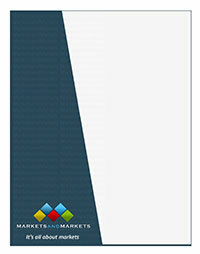 The report also helps the stakeholders to understand the pulse of the market and provides them with information on key market drivers, restraints, challenges, and opportunities.